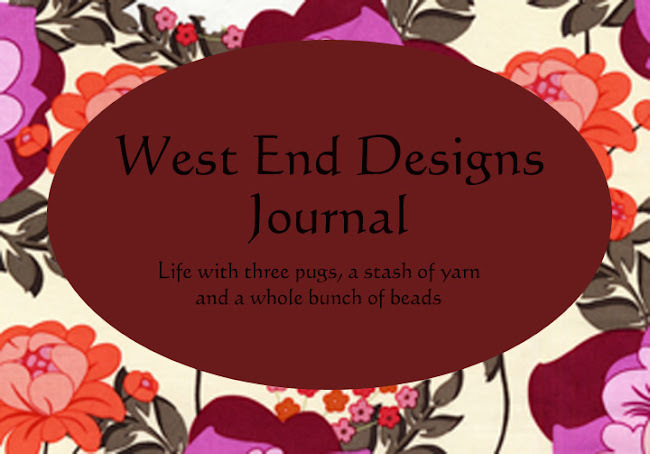 ~* West End Designs Journal *~: I'll Have What's In The Box. I'll Have What's In The Box. First, I will start with the box. 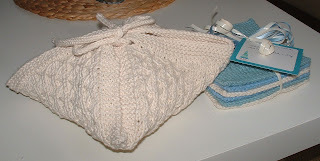 I had purchased these boxes awhile ago thinking they would be the perfect size for a knitted gift. I cannot tell you how pretty these are in person. The are made with Italian paper and have just enough sparkle. A simple ribbon and you are done. This one has a lovely red ornament on it. 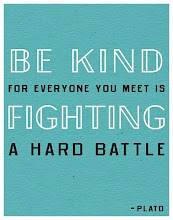 If I can find more of these, I am going to get them. 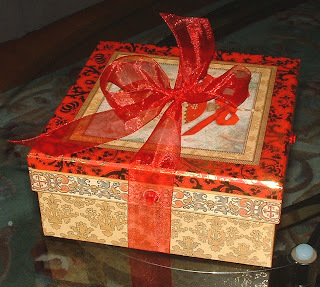 This is the gift that was inside the box. It is for one of my good friends. She makes the most amazing biscuits and when I saw this pattern in my files, I knew I had to make it for her. I plan on making a few more of these to have on hand for quick gifts. They would make an awesome housewarming gift.....filled with biscuits. YUM. 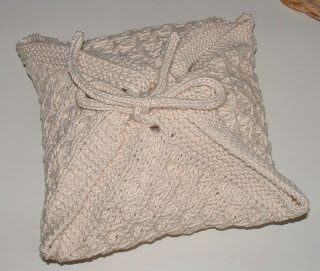 Yarn: Peaches and Cream Cotton (no label for the color) I used about 1/3 of the cone. Notes: The pattern called for either a size 5 or 6 needles. I opted for the smaller but next time I would definitely use the size 6 ones. I also tried these cloths. 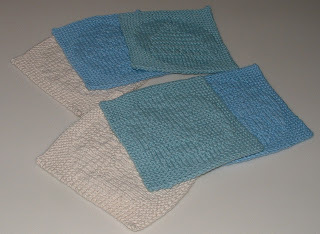 My friend adores homemade cotton dishcloths so I thought they would be a nice addition to the box. These were so fun to make. The only issue I have is that you cannot really see the design. Sure, if you are holding them in you hand in the right light.....yes. But they were really hard to photograph. The designer has tips on her website, which I followed, including the blocking portion, but the photos just don't do them justice. I think once they are machine washed and dried a few times, the stitches forming the patterns will really POP!! There was a snowman, snowflake, hat, mitten, house and trees. Notes: I would definitely make these again but put them in the washer before gifting. She has some other great designs I want to try! Time for more coffee......and maybe something to eat. Today's flavor is Spicy Eggnog. Delicious!